I hope you’re feeling like the Venus ruled person that you are, Libra. If you are not, the cards are suggesting that you remember. The Empress came out as your first card, this is you. Have you forgotten the poise and beauty that you naturally radiate? Even in masculine form, for the men, there is always a beauty to all of you. I hope you haven’t forgotten. But I’m afraid you have. The 6 of Cups reversed is reminding you of a memory. Has you childhood been on your mind lately? Or perhaps, just the past? Leave the past where it belongs, beloved. You have the power to create a peaceful, beautiful, and blissful reality right now. Don’t compare your present to the past or the future. True happiness is found in the moment. When both of your scales are balanced, this is where you find peace. Temperance is saying that until you learn to balance your imaginary world with your practical world, you will not feel at ease. You cannot be both in the past, and the future, beloved. You can only be here right now. Beloved, you of all signs have a deep need for peace and ease. If you cant find it, you must create it. Pour the imaginary into your reality, and watch what transforms. With the King of Wands in your reading, watch for any fire signs or very dominant people who make you feel inferior. The Queen of Cups reversed in front of the King of Wands expresses an emotional inadequacy problem. You, beloved, are filled with love and grace. You have never needed fire. You have air. Never forget that every time you blow out a candle, you do so with your own breath. Do not let harshness or fire energy around you make you tip over your own scale. Hold your own on this new moon. You have more power than you know. The Empress and the 6 of Pentacles is related to you, Libra. Both have come up in your reading. You are being called to go back to your roots, beloved. Two 6 cards have appeared for you. 6 meaning unity, service, others, love, and compassion. There is a deep need for you to pull out your inner fairness. You have one gift that every other sign doesn’t have, which is the ability to sit solid in the center. Do not feel pulled by extremes. You can’t help everyone, beloved. Don’t spread yourself so thin. You are zen. You are peace. You are fairness. Let this radiate from within, and outwards. On this new moon, share, give to others, but do not forget you are the bridge in between everyone. You are the hand that feeds. You are the solid foundation dead in the center. Balance your scales, beloved. This Gemini season is requiring you to get back in the game, and remember who you are. As cliche as it sounds, sharing really is caring. This time around, share your heart. Talk to Luna, and talk to Venus. Learn to love yourself this way, and you’ll never fold again. 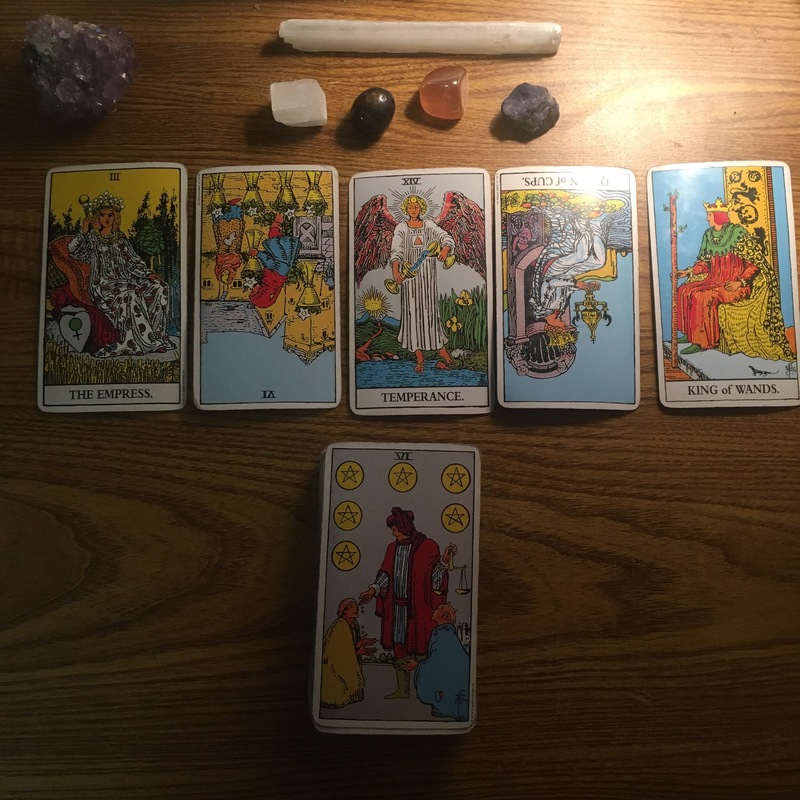 Previous Pisces: New Moon in Gemini Tarot reading, 2017. Your dream world is real. Dance with love. Next Happy Full Moon in Sagittarius! ♐️ Collective Tarot reading, 2017. So what’s this grand vision all about?